Get notified when Avenue Q tickets are available! 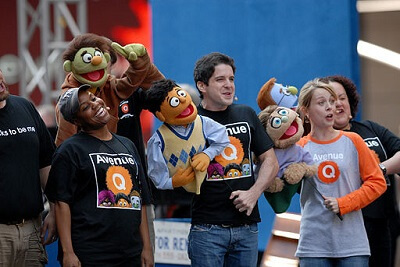 An American musical, “Avenue Q” is performed in two acts and features music and lyrics both written by Jeff Marx and Robert Lopez. Based on a book, “Avenue Q” is a coming of age tale that turns issues with graduating into adulthood into satire. This musical is well known for its use of puppets to tell the tale, but their style is the puppeteers do not attempt to be hidden. The show has won three Tony Awards and a Theatre World Award in 2004. Get your Avenue Q tickets now and be sure you are part of the excitement during their next line of shows.